Kick-start your week on a high with Shakey’s Monday Madness! Be the master of your week and shake off those Monday blues. Dig into an ultimate comfort food treat at an incredible discount via Shakey’s Monday Madness. 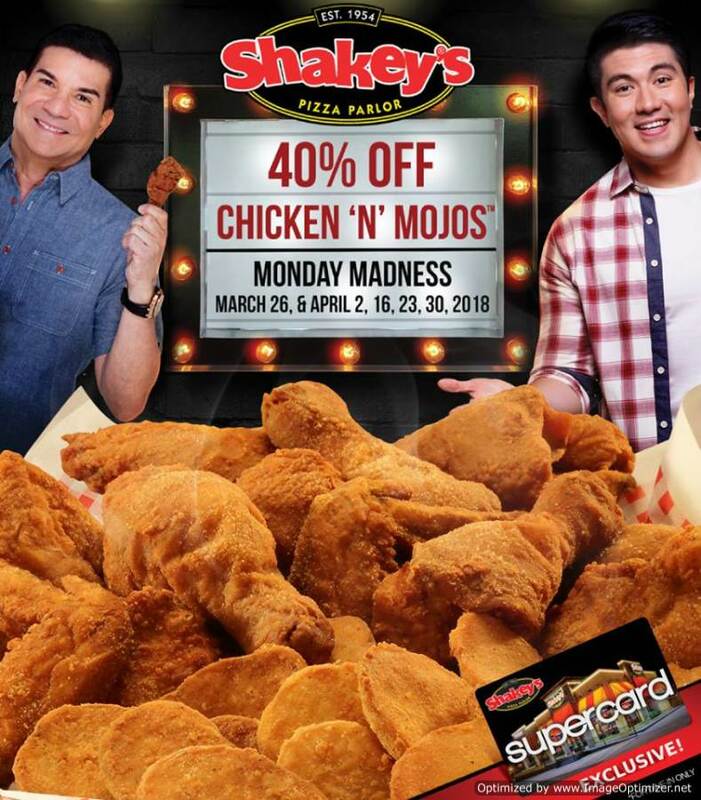 Enjoy a 40% OFF on Chicken ‘n’ Mojos when you dine-in at any Shakey’s branch on the following dates: March 26 and April 2, 16, 23 and 30, 2018. This promo is available in ALL branches nationwide but exclusive to Shakey’s SuperCard holders only. This promo is valid and active SuperCard is required to avail of this promo. 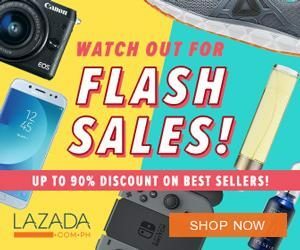 The promotion is not valid in conjunction with other promotions and discounts. No SuperCard? Get one now by logging onto http://bit.ly/BuySuperCard. You may also call 77-777 or #77-777 toll-free for Globelines, Globe, and TM subscribers. In case you missed, our favorite pizza restaurant is stilling offering Lucky 777 Delivery that runs until March 29 and Php2018 Meal Deal until March 31, 2018.